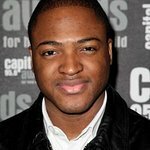 London-born musician Taio Cruz began writing music when he was just twelve and at the age of 19 wrote songs for RedZone Entertainment. 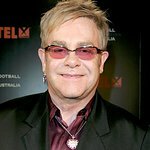 In 2005 he was a Brit award for his part in Will Young's ‘Your Game’. He is the founder and chief executive of Rokstarr Music London, with whom he released his debut single ‘I Just Wanna Know’. He gained international recognition in 2009 when he worked with Tinchy Stryder on ‘Take Me Back’. In January 2011, he released the charity single ‘Imagine’ in support of Big Brothers Big Sisters. He also attended the charity ball in aid of Help a London Child in 2009. In 2010 he performed at a charity concert in New York in aid of Musicians on Call. More recently, he fimed a public service announcement in aid of Little Kids Rock. Google trends for "Taio Cruz"
We don't have any videos related to Taio Cruz.